There’s nothing better than a freshly cleaned car. Watching it sparkle as it finishes getting washed and waxed is something special. When you own a luxury car, that feeling is even more special. If you really want to get that fresh and clean feeling, then a simple car wash isn’t going to be enough. Freeman Motor Company of Portland, OR offers drivers an inventory of impressively-luxurious pre-owned models at incredible prices! One of our favorite brands currently in stock is Volvo! In addition to the head-turning exterior style and the loaded interior cabin, pre-owned Volvo models at Freeman Motor Co. are equipped with a host of high-tech and innovative safety features. These safety features fall under the “Volvo IntelliSafe” umbrella. Keep reading to learn more about Volvo IntelliSafe technology! How does the Audi quattro® All-Wheel Drive System work? While Audi models are legendary for their incredible style and luxurious interior cabins, the real highlight of a new Audi is its performance! For 35 years, the quattro® All-Wheel Drive System has been a staple of Audi performance! Not sure how the quattro® AWD system works? Keep scrolling for more information and a quick and informative YouTube video from Audi! How Fast is the 2018 Lotus Evora 400? A new Lotus Evora 400 model offers drivers near Portland, OR incredible luxury and head-turning style! But we know what prospective shoppers in the market for a new Lotus are searching for: speed! Keep scrolling to take a closer look underneath the hood of the new 2018 Lotus Evora 400 and learn its top speed and 0-to-60 mph time! 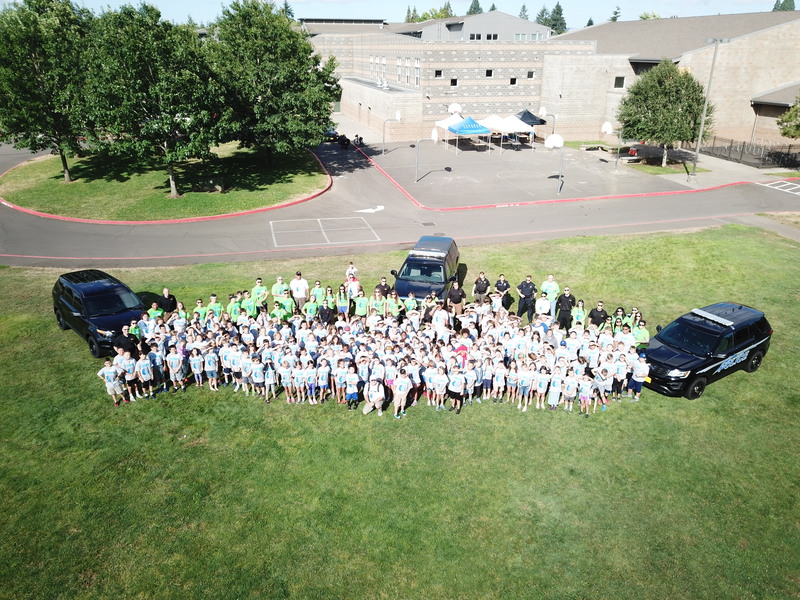 The Keizer Police Department hosted its third annual Blast Camp July 17 through July 20 for boys and girls entering grades 3 through 6. This camp is designed to bring local law enforcement and youth closer together. Children who attended the camp received safety information, observed public safety demonstrations and much more! Kids were also be able to participate in several different relays and sporting activities. In addition to Keizer Police Department, participating agencies include Keizer Fire District, Salem Police SWAT, Oregon State Bomb team, Marion County Search and Rescue, Oregon Department of Fish and Wildlife, Marion County Marine Patrol and ATA Martial Arts. For the last five years, the Keizer Police Department has received an overwhelming response from the local community, with approximately 200 children registering for this educational camp. Porsche is a name that carries weight throughout the automotive world, no matter how you pronounce it. Either way, you can expect exceptional quality from every Porsche model. What if you had the chance to drive one of the excellent vehicles at a lower price? Luckily, here at Freeman Motor Company, we have an excellent selection of used Porsche models for you to browse through! Read more about used Porsche Vehicles Near Portland, OR!